Superlative/minimalist high-tech design for style and function. The result is a very broad field of vision and crystal-clear optics thanks to the spherical DUAL BIONOMIC lenses and their high-quality NMT OPTICS coating. 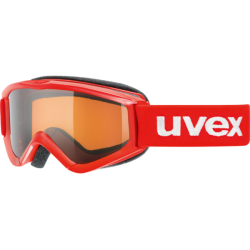 The MarkAIR VENT SYSTEM naturally ensures that the goggles maintain fog-free performance. The FRAMELESS DESIGN means that the lenses can be exchanged in seconds. Marker has developed the revolutionary NMT OPTICS coating for all lenses (except 4:3). It works similarly to the extra membrane or third eyelid that many animals have to provide extra protection to their eyes. NMT OPTICS (Nictitating Membrane Technology) have an extremely scratch-resistant surface that always supplies the best possible clarity. It prevents water, grease, or dust from sticking, and moisture wicks away immediately. Fingerprints, dust and sweat have no surface to cling to, and are easy to remove. Our NMT-coated lenses offer crystal-clear visibility for years. 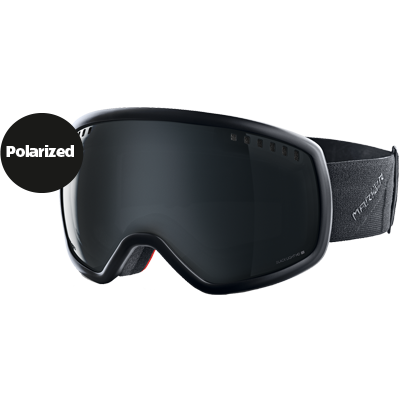 MARKER DUAL BIONOMIC lenses are designed in a double-lens construction with an integrated thermal blocker. All lenses are oriented to the curvature of the human eye to ensure that objects seen through the goggles are accurately represented and undistorted. Unlike traditional, non-progressively tapered standard lenses, our lenses feature Bionomic Curve Lens Technology (quality class 1, ANSI Z87.1) that deliver undistorted light beams directly to the eye, which ensures 100% correct vision that doesn’t strain the eye. 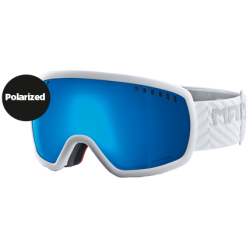 MARKER goggles feature optimally fitted foam for superior comfort and functionality. The shapes of the frames and the materials used in the goggles play a decisive role in this. We manufacture all SUPERFIT FRAMES from highly-elastic ELASTOGRAN (Made in Germany), which means the goggles automatically hug the contour of the wearer’s face. ELASTROGRAN retains its full flexibility regardless of how cold it is outside. The MARKER V-SPLIT NOSE also helps ensure unmatched fit, as they adapt to the shape of the nose automatically, and seal without pinching or pressing. Extremely comfortable and extra soft! The three-layer XDry construction helps produce an optimal fit and outstanding performance. The soft external fleece layer that touches the face absorbs moistures and transports it away from the skin. The high-quality, durable goggle straps distribute the pressure around the head for the perfect hold without irritating pressure points. Thanks to the heat applied silicon coating on the interior of the goggle straps, they sit rock-solid on any helmet for slip-free performance. Polarized MARKER lenses made of TAC (Tri Acetate Cellulose) stand out with superior visual acuity. They absorb a maximum of dispersed light to provide improved contrast. The result a reflection-free, more clearly defined vision that allows you to see and assess the terrain more effectively. The perfect marriage of helmet and goggle is made or broken with product design. 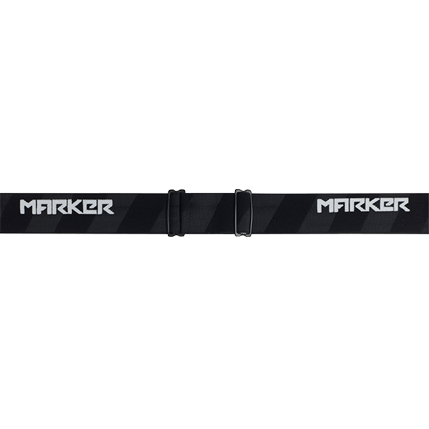 MARKER products are 100% harmonized to one another. 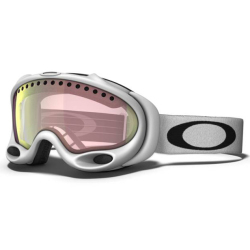 All goggles are designed to fit perfectly with the shape of the helmets and their brow lines. This perfect adaptation ensures 100% functionality for the MarkAIR CHANNEL and MarkAIR VENT SYSTEMS for ventilation of both helmets and goggles. All goggles come in a lightweight neoprene box with a zipper to make transport and storage easier. 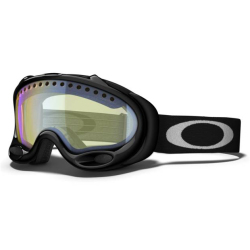 The soft lining protects the goggles, while the vent holes allow for quick moisture evaporation.